A Man of Genius by Janet Todd (Bitter Lemon Press hardcover, 10 March 2016). Ann St. Clair, an author of cheap Gothic novels, becomes obsessed with Robert James, regarded by many, including himself, as a genius; she is captivated by his Romantic ideas, his talk, and his band of male followers. The pair leaves London for occupied Venice, where Ann tries to cope with the monstrous ego of her lover. The relationship grows tortuous as Robert descends into violence and near madness. Forced to flee with a stranger, she delves into her past, to be jolted by a series of revelations— about her lover, her parentage, the stranger and herself. Janet Todd was interviewed by Meryl Zegarek of MZPR, a public relations company. You are widely known for your many books on Jane Austen, Mary Wollstonecraft, the Shelley circle, Byron and Aphra Behn. Will your novel appeal to the readers of their classic novels? I would never presume to imitate Jane Austen or Byron! But I have inevitably been influenced by their cultural and psychological insights. I’ve chosen to place my story in the historical and geographical context that has become real to me through studying these writers. If readers are looking for a light romance or bodice ripper, A Man of Genius will not serve, but most popular novels of the time were actually Gothic and my books uses the motifs of Gothic writing to investigate inner turmoil and romantic passion. Ann is a smart woman, a published author who supports herself. Why does she stay with Robert when he begins to abuse her? Entrapment, or reciprocal imprisonment, in an abusive relationship is common even now. Why doesn’t the abused party simply walk out? Answer: because entrapment, however irrational, is difficult to break. It can be hard to tell who is the abuser and who is the victim in your novel. Do you agree? Indeed, in my book, as is usual in life, both parties are caught in the tormenting relationship, neither simply abuser or victim. What happens to Robert, the object of intense admiration when he starts to realize he’s unworthy of Ann’s admiration? While Robert abuses Ann psychologically and physically, Ann manipulates Robert to his downfall. She pushes him when she should leave him alone, criticizes him about his most worrisome area, i.e. his Catholic religion, and she displays a sexual longing that makes him all the more impotent. Robert is past his best when he meets Ann. Admitting his gifts—he did write one good work and have some initially powerful ideas. Ann wants him to be the genius his early promise shows. She never really understands what he wants to do and say; she needs the reaction of other people to judge. How did you shape Ann’s character? Ann comes from a dysfunctional family. Her childhood culture did not offer ‘intensely religious’ religion. So she looks for a god-substitute and an emotional crutch. In the way Caroline, Ann’s mother, had to find one as well. Ann is raised in the shadow of a “dead father”, a man present for her only in words and stories. Her search for a father-substitute is in people of the word, first in a religious commune, then in a man praised for his talking and writing. Intellectually she believes in gender equality but her emotional neediness from an unloving childhood results in her desire for a ‘mastering’ man—and a life of harmful but intense drama on or off the page. Tell us about the historical setting in which the novel takes place. The novel chooses an historical moment, in the late 18th and early 19th century, which gives particular intensity to the persistent problem of fatal attraction: this is the generation that invented the man of genius as a cult figure and a focus of female obsession. Look at the women in the lives of Byron, Shelley and Goethe. Robert’s politics and desire to express what in the end can’t be expressed is thoroughly romantic—he is disappointed by what real-life revolutions bring and he now hero-worships great men—and the great writer – who may or may not be himself. He has an intense vision of a living world, rather like a drug induced one. He longs to sustain and capture it in language. His failure to do so torments him, and his religious background, though rejected, comes to the fore to explain his failures to him. From childhood onward Ann is caught up reading Gothic fiction, so popular in the 18th and early 19th centuries. The main motif of Gothic books are entrapment and pursuit, such as are found in Frankenstein and the later Dracula. Janet Todd is Emerita Professor at the University of Aberdeen, having retired recently as President of Lucy Cavendish College, Cambridge, England. Remarkably Todd has now embarked on a new career as a novelist. Already well known for her books on Jane Austen, Mary Wollstonecraft, Aphra Behn, and the Shelley circle, many consider Todd to be the most influential of the founding scholars of early women writers in English. 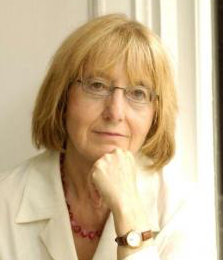 Among her other accomplishments she established the Lucy Cavendish Fiction Prize, and the Women’s Word Festival 2009-2013 featuring many writers of literary and contemporary fiction.